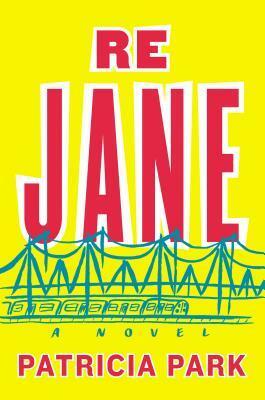 Goodreads: For Jane Re, half-Korean, half-American orphan, Flushing, Queens, is the place she’s been trying to escape from her whole life. Sardonic yet vulnerable, Jane toils, unappreciated, in her strict uncle’s grocery store and politely observes the traditional principle of nunchi (a combination of good manners, hierarchy, and obligation). Desperate for a new life, she’s thrilled to become the au pair for the Mazer-Farleys, two Brooklyn English professors and their adopted Chinese daughter. Inducted into the world of organic food co-ops, and nineteenth–century novels, Jane is the recipient of Beth Mazer’s feminist lectures and Ed Farley’s very male attention. But when a family death interrupts Jane and Ed’s blossoming affair, she flies off to Seoul, leaving New York far behind. Kritters Thoughts: Let me start by saying, I have not read Jane Eyre, so as I know that this is a retelling or reimagining of sorts - for me this was a fresh read. Yes, I do plan on reading Jane Eyre eventually, but there are just so many good books that come out every Tuesday it is hard to go back that far! Re Jane was such an interesting read with a character who is half Korean and half American and doesn't feel like she quite fits in with either. She has been living with her uncle and living by his rules until she is offered a job that gets her out of the home and gives her the opportunity to become an adult. A family tragedy sends her to Korea where she gets to experience the other half of herself and her family there, but ultimately she returns to New York to find her place. I loved this book. It was a sweet coming of age story but with the twist of not fitting in ethnically to any group. I loved that she learned different lessons from different people and they all didn't revolve around love, but honestly what type of person do you want to be. I love when characters going through this moment in life are right out of college or finishing it up and embarking on adulthood, that is my favorite coming of age story. I think if you have never read Jane Eyre or have read it multiple times, you can enjoy this book as the stand alone that it is. The balancing of two contrasting cultures is never easy! Asian/American can't be smooth and Jane must be having doubts at every turn. Read Jane Eyre even in stages - it is so very good.